This was not the average Nibbian day. King Norr was unprepared and only hoped to get through it with as few “haddocks” as possible. 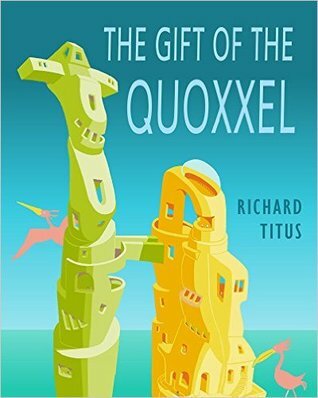 The Gift of the Quoxxel is Richard’s debut novel. Life experience includes art direction, free-lance illustration, military service, verb conjugating, oil painting and an adequate meatloaf. Other writings include song lyrics and multiple greeting cards. As yet, no one has pressed charges. Everyone on the tiny island of Nibb is happy and has no desire to learn about anything outside of their world. But King Norr is always thinking about thing beyond Nibb. Things like why do ships approach yet not come to shore. 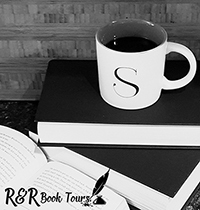 What ensues is several adventures with King Norr as he tries to answer the questions he is asking. This is a great, fantasy adventure for kids. It’s silly and some of it makes no sense, like how you will never really learn why the ships don’t land on Nibb. I admit though that there is some snark that might be over younger kid’s heads but older ones will pick up on. This is a wonderful little adventure that will keep you laughing at the ridiculousness. I think this would be a wonderful story for bedtimes and that any kid would enjoy. This is a wonderful first book from Richard Titus. I can’t wait to read more of his work.